The second half of September was epic for the team, we had Anna Seymour take part in a relay team to swim the channel, just before all of the storms hit the UK! 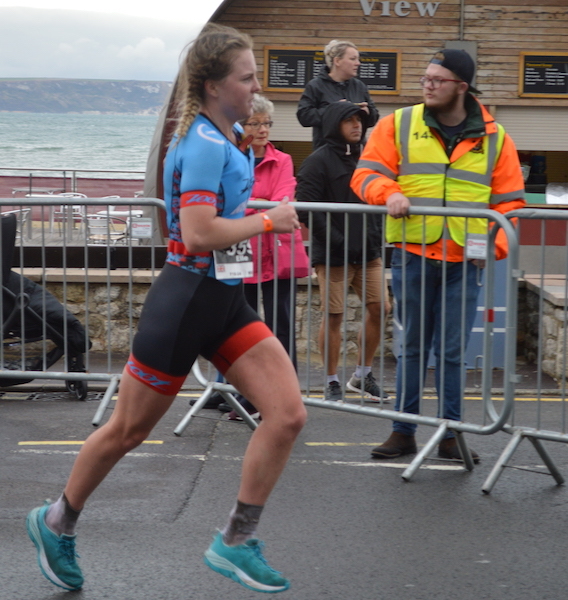 Freddie Webb was in action at the Bristol Junior Championships and we had a massive team turn out for Ironman 70.3 Weymouth with some rather special results. Freddie Webb has had a solid season racing in the Juniors and has finished in the top 25 athletes in the country. His final race was at the Bristol Junior Championships where he placed 5th overall! Next season Freddie is going to be tackling the under 23’s and is already showing massive potential. We’ll keep you posted on his progress! Anna Seymour took part in a Channel swim as part of a relay team, I was amazed when she updated me that they completed the swim in 11 hours and 28 minutes which according to those in the know anything under 12 is very good! 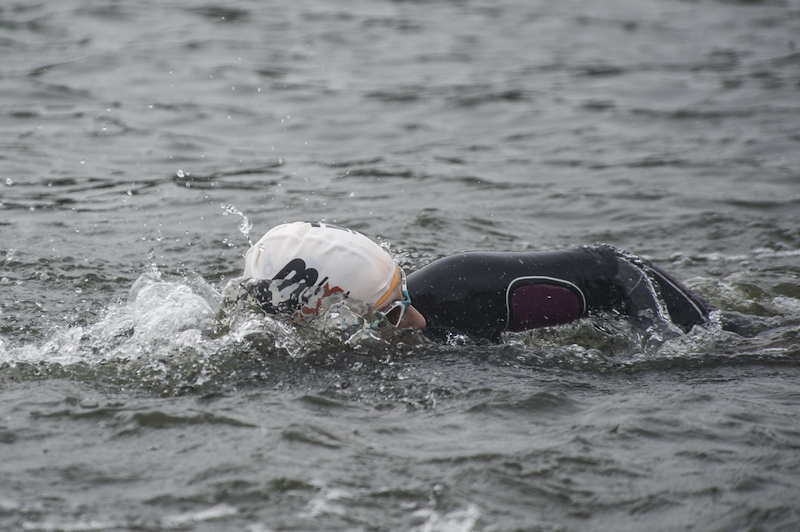 They had massive swell to deal with and Anna was even amazed that on her second swim she managed to swim 4.5 kilometres in an hour! Well done Anna! 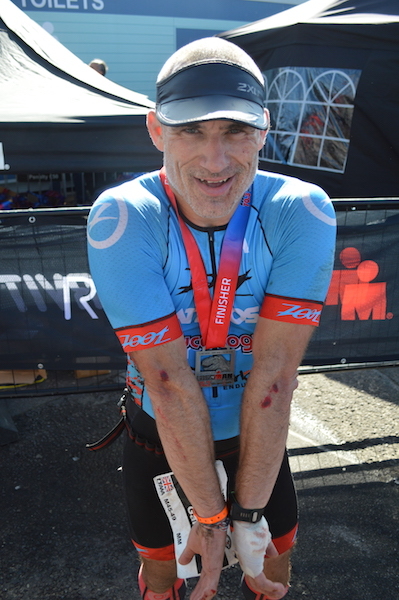 Then we had Ironman 70.3 Weymouth were it was a big day for 10 members of the team and a massive day for 2 of the elite athletes in our team, what could make it the most challenging day ever! The great british weather, we had 5-10 degrees C with cold wind and lots of rain, Gary Squires paid in skin and rubber with 2 punctures and a crash on the bike! Harry Palmer’s season has been well documented on his and Chirs’ Youtube channel (subscribe here) and it was all or nothing as he had to get the result to he needed to qualify as a professional for 2019 and after his narrow miss in 2017 at this race he needed to better his result. 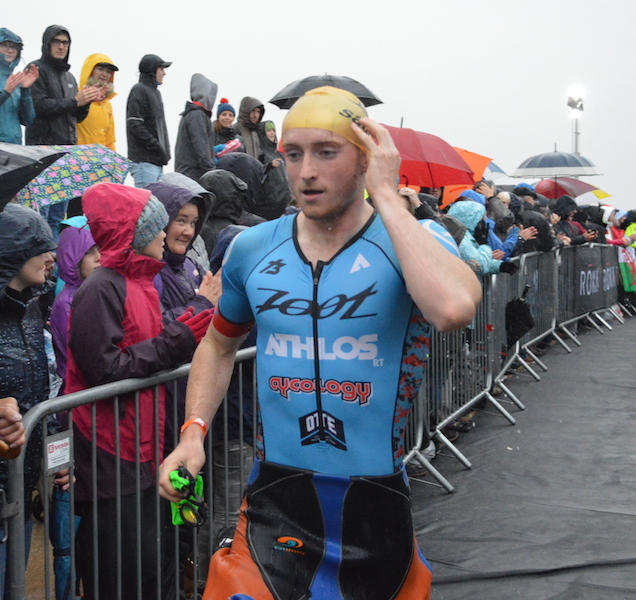 He did it in style finishing as the fastest age group male overall and in 6th place well within the 8% margin of the race winner in form professional Elliot Smales. He has now had his professional license awarded, roll on 2019. Not only did we have the top male amateur athlete we had the top female amateur athlete with Elle Twentyman finishing 5th overall putting her on the doorstep of a professional license. Elle recently finished 7th overall at Ironman 70.3 Dun Laoghaire but was only just outside the 8% margin of the winner Emma Pallant’s time. We’re looking forward to Elle’s next race to help cheer her on to another amazing result and hopefully the pro license. We had a number of other great performances at Weymouth including Kirk Latham coming back from a season on the sidelines due to injury with a brilliant run leg of very little run training. Diane Hier finished 2nd in her AG almost nailing her slot for the World Championships in Nice next year. We had great team camaraderie at Weymouth with members Colin, Laurie and James supporting each other through to the end in conditions which led to well over 200 people not finishing the race! 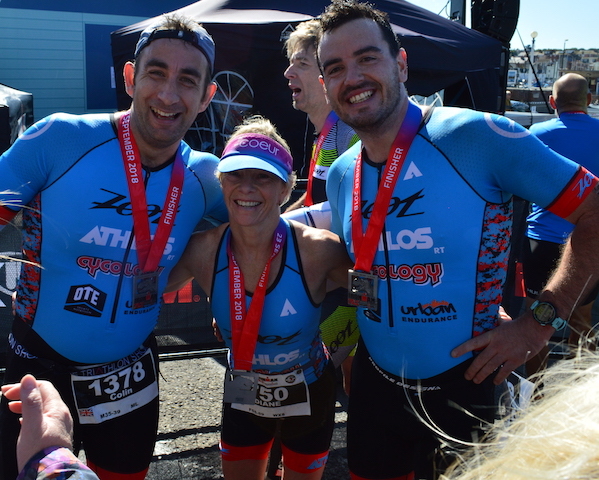 If your interested in becoming a coached member of the team please visit the membership section of the site and fill out the enquiry form, one of our coaches will let you know what we can do for you in Team Zoot Athlos.